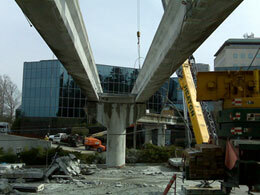 Dismantling and removal of a 900 linear foot elevated concrete sky bridge system over a major road. Project Schedule – 30 days. 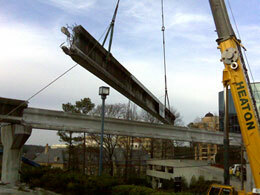 This project was done in partnership with Atlanta Demolition.